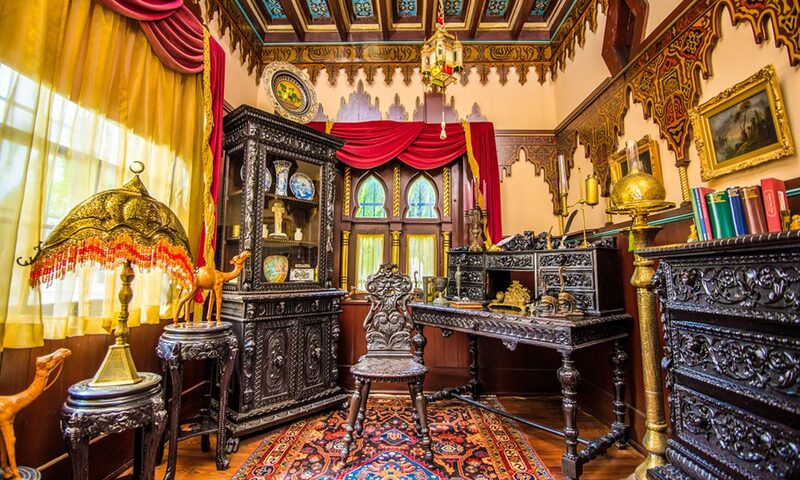 The Villa Zorayda Museum is an architectural masterpiece built by Franklin Smith in 1883. 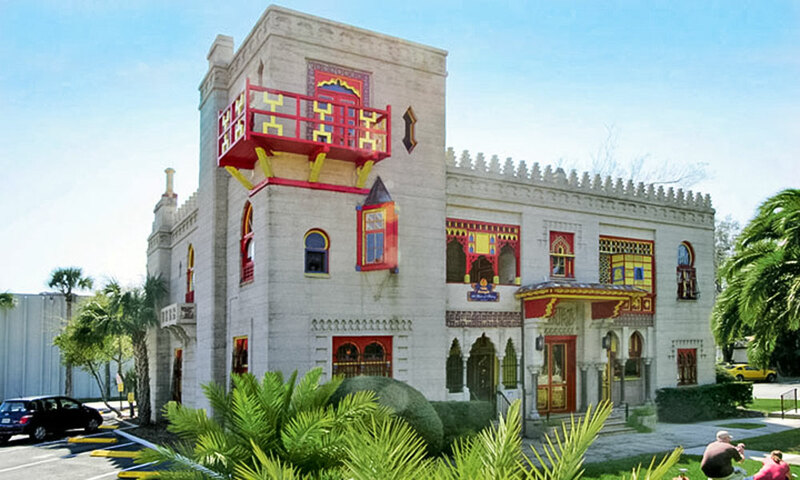 Listed on the National Register of Historic Places, this grand Gilded Age home is built 1/10th the scale of a portion of the Moorish castle, the Alhambra Palace in Granada, Spain. 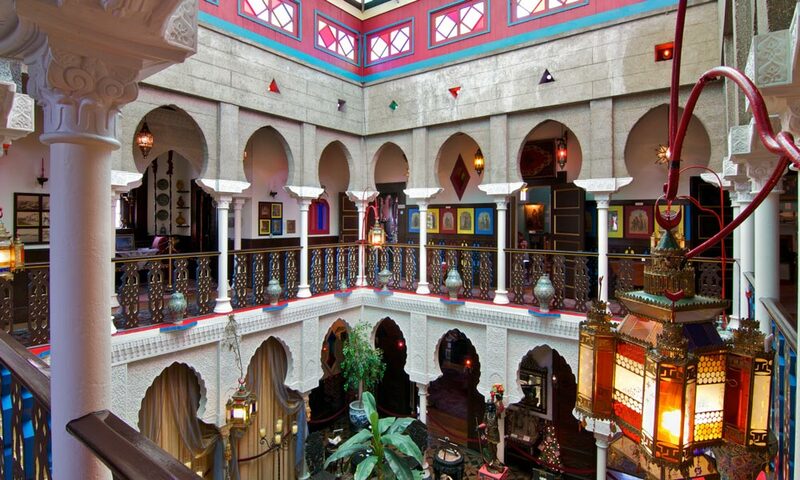 In addition to the magnificent architecture of the building is the collection of antiques and fine art, featuring paintings, seventeenth-century furniture, beautiful hanging brass lamps, oriental rugs, and an Egyptian rug over 2,400 years old that was originally taken from one of the pyramids in Egypt. Click the 360 image below to look around. The Villa Zorayda Museum is open Monday through Saturday from 10 a.m. until 5 p.m. (with last admission at 4:30 p.m.), and on Sunday from 11 a.m. until 4 p.m. On-site parking is free while visiting the Museum. State-of-the-art self-guided audio tours are available throughout the day in English, Spanish, and French. Docent-led group tours are available by reservation only. For additional information, please call (904) 829-9887. The Villa Zorayda Museum will offer their 9th Annual Candlelight Tours of the Museum during the upcoming holiday season. These special guided tours are offered on select evenings during St. Augustine’s Nights of Lights celebration. The Villa Zorayda is beautifully decorated for the holidays, with a spectacular Christmas tree decorated in Zorayda colors (red and gold) and located center stage in the Court of Lions. Over one hundred candles are aglow throughout the museum as the docents lead guests by candlelight inside the beautiful Gilded Age House Museum built by Franklin W. Smith in 1883. Candlelight Tours of the Villa Zorayda Museum make for a wonderful evening in St. Augustine during Nights of Lights, which begins November 2018. These tours have taken place every year over the past eight years and have become a tradition during the holiday season. The candles, hanging brass lamps, and Christmas decorations combine with the original art and antiques on display to create an amazing effect that can only be defined as magical. Select tours include refreshments of homemade cookies, punch, and coffee before the tour. Please visit here or call (904) 829-9887 for more information. Photo by Dana Goodson Photography. 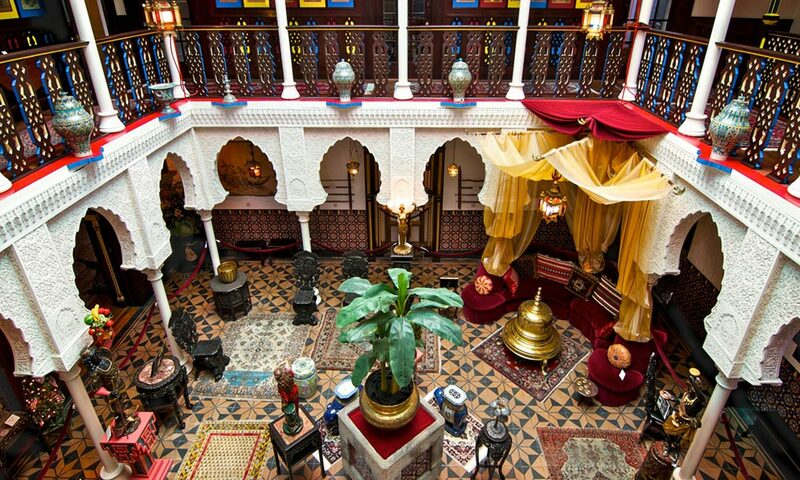 The Moorish Court of the Villa Zorayda is a one-of-a-kind venue for special events, from wedding receptions to intimate seated dinner parties and large cocktail parties. The staff is happy to make the venue arrangements and recommend local caterers. Call (904) 829-9887 or email here for details on renting this spectacular venue for a truly memorable occasion.